Our most popular, versatile Proven Performers keep your operation on schedule. 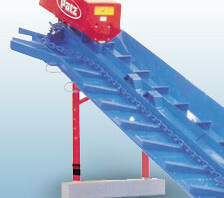 Move material exactly where you want it with optional decline or straight-line one-way conveying. 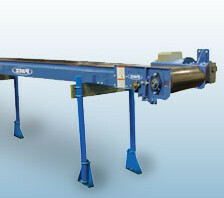 Reversible conveying available in straight-line conveyor. Modular sections bolt together. Can be field cut to desired length. Optional spouts deliver material where you desire. 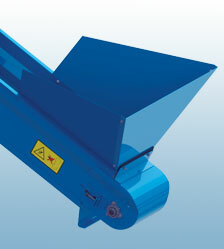 Optional hopper helps prevent spilling and waste. Detachable steel chain for easy servicing.